Try DBF Converter now for free While the price for DBF Converter is utterly affordable, you can also try it for free at any time. 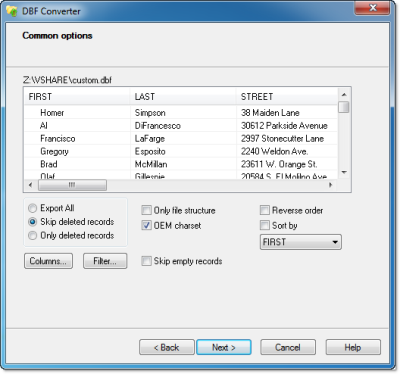 Download the free trial and evaluate vast capabilities DBF Converter now! DBF Converter runs on all versions of Windows from 95 through XP, Vista, Windows 7/8/10 (32/64 bit). Updated: February 13, 2019 DBF Converter v5.79 released! Here You can subscribe to the DBF Converter mailing list, where we will provide you with latest information about upgrades and other topics concerning this program .